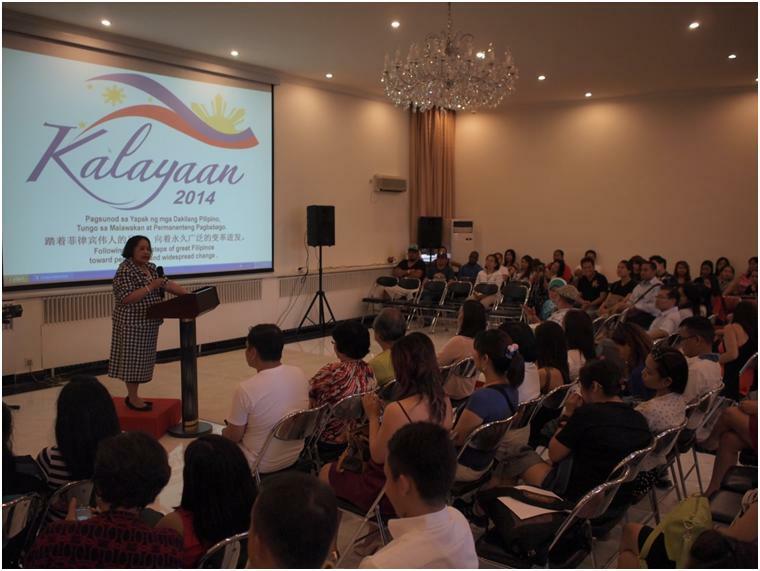 On 15 June 2014, the Philippine Embassy celebrated the 116th Anniversary of the Proclamation of Philippine Independence with members of the Filipino community. 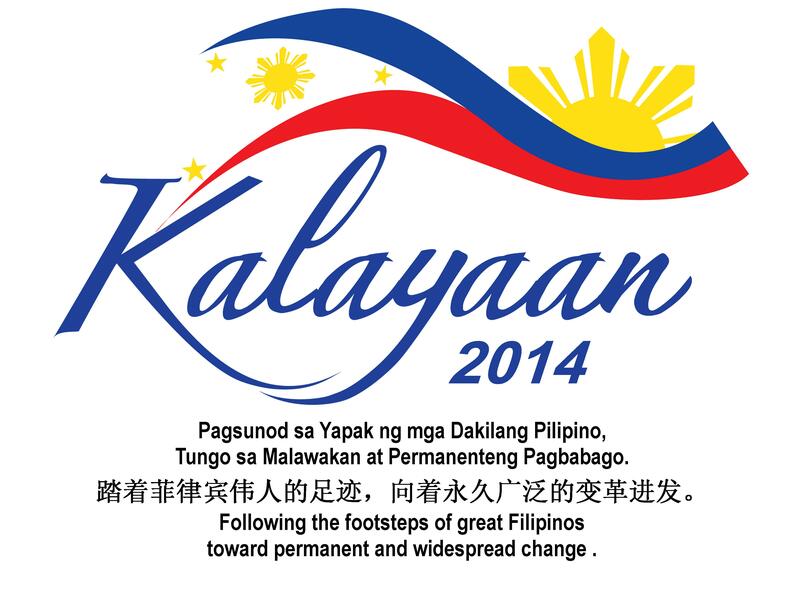 More than 200 members of the Filipino community in Northern China joined the Embassy for the get-together. 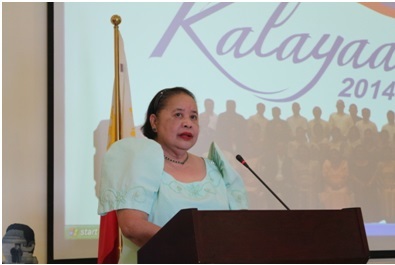 Ambassador Erlinda F. Basilio led the officers and staff of the Philippine Embassy in Beijing and their families as they gathered together on 12 June 2014 at the Embassy to commemorate the birth of the Philippines as a nation and the freedom of Filipinos as a people. The commemoration started at 8:30 a.m. with a flag-raising ceremony, followed by the Ambassador’s remarks and the reading of the messages of President Benigno S. Aquino III; Vice President Jejomar Binay; Foreign Affairs Secretary Albert F. Del Rosario; Trade and Industry Secretary Gregory Domingo;Tourism Secretary Ramon Jimenez; Agriculture Secretary Proceso Alcala; and Philippine National Police Chief Allan Purisima by the Embassy’s officers and heads of the attached agencies. 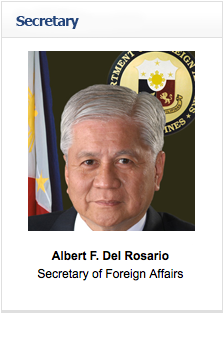 The Philippine Embassy in Beijing hosted a reception at the Legendale Hotel in Beijing on 9 June 2014 to commemorate the 116th anniversary of the Declaration of Philippine Independence. In attendance were members of the Diplomatic Corps in Beijing, officials from various ministries of the Chinese government, representatives from the business sector, media and the academe, and prominent Filipinos based in Beijing. The guest of honor was Assistant Minister Liu Jianchao, who was Chinese Ambassador to the Philippines from 2009 to 2011. 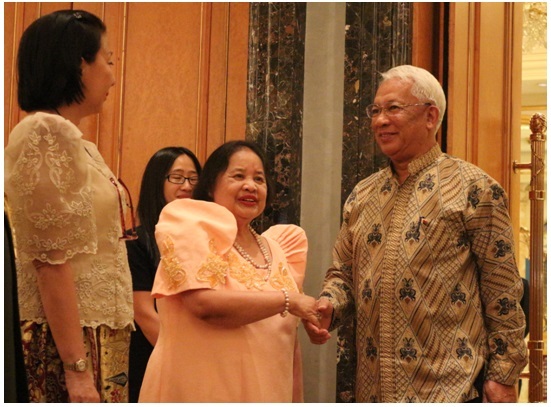 Philippine Ambassador to China Erlinda Basilio greets H.E. Ambassador Viktor Sikonina of Madagascar and Dean of the Diplomatic Corps as he enters the Versailles Ballroom of Legendale Hotel. Ladies and gentlemen, good afternoon. Several times a year, the World Economic Forum gathers leaders and specialists from all around the world—heads of state, academics, and entrepreneurs alike—in pursuit of a single, broad-based vision: “to improve the state of the world.” I cannot overstate our country’s gratitude for the opportunity to host all of you here, and it gives me great pride to say, on behalf of my countrymen, indeed: Welcome to the Philippines. Over the course of your visit, I am hopeful that you can make time in your busy schedules to visit our tourist attractions and historical landmarks, which make us one of the most fun countries on Earth. Above that, however, I am also very eager for you to experience firsthand the passion, the patriotism, and the kindness of our country’s greatest resource: the Filipino people. The Philippine heritage city of Vigan (in the province of Ilocos Sur) is vying for a spot in the upcoming list of the “New 7 Wonder Cities of the World”. Vigan is the only Philippine city which has reached the finals phase. MANILA, Philippines — The country’s boom in the last three years is just the beginning of a “remarkable” transformation that could see the Philippines grow into a trillion-dollar economy, as long as current reforms are sustained. 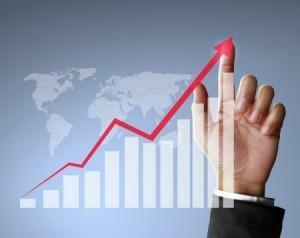 US-based think tank IHS said the domestic economy, which was one of the best-performing in the world last year, had what it would take to grow to more than triple its size in the next decade and half. From a “pussycat” today, the Philippines could become a major Asian “tiger” by 2030. 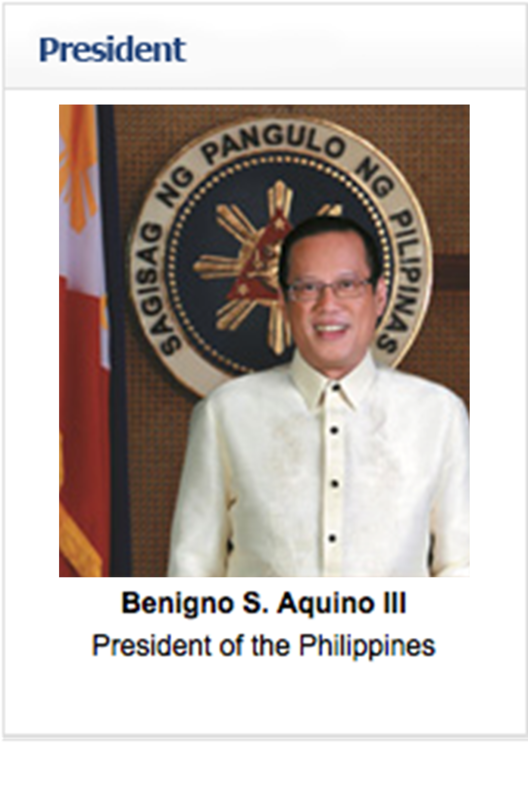 Deadline of submission of requirements for the ACET is on August 15, 2014 at 5:00 p.m. (Philippine time). 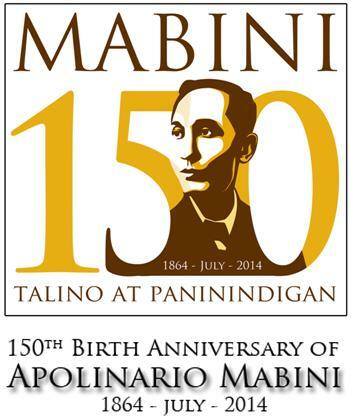 The Arnis Pederasyong International, Inc. (i-ARNIS), and Arnis Philippines, Inc. (ARPI) are inviting participants to the “i-ARNIS WORLD ENCOUNTER 2016” to be held on 19-24 January 2016 in Manila, Philippines. In preparation for the event, all i-ARNIS members, and interested coaches, trainers, athletes and technical officials are also invited to attend the series of courses and seminars at the ARPI headquarters in the Philippines. 1. In line with the International Civil Aviation Organization's (ICAO) standard requirement that all non-machine readable passports be out of circulation before 24 November 2015, the Embassy wishes to inform the Filipino community that the extension of the validity of machine ready readable passports (MRRPs) – the green passports – has been discontinued. Please ensure that your are holding a valid visa for the duration of your stay in China. It is important to have the appropriate type of visa corresponding to the purpose of your stay (tourism, family visit, study, work, etc.) Otherwise, you risk facing penalties, detention and/or deportation. Deadline for Submission of Application Forms for the 2014 FSO Examination extended to 14 July 2014.